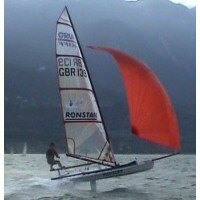 Rope4boats has a large stock from the world’s best rope brands. 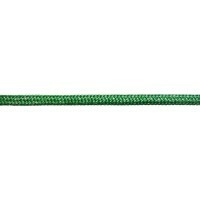 Our rope is available by the metre and can be customised with splices to your specification. 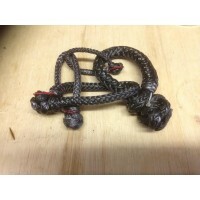 We also supply rope 4 specific boats - see our list of classes. SAVE £12.50! Package includes tapered and spliced spinnaker sheets, spinnaker halyard ..
Rope Shackles are replacing metal shackles all over the boat. They don't corrode. 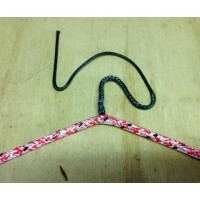 They d..
8mm Braid on Braid White with red fleck was £1.00/m now only 80p/m This rope.. 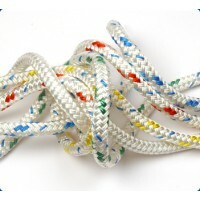 This high-performance Dyneema rope is designed for sailing applications where low stretch is requi..